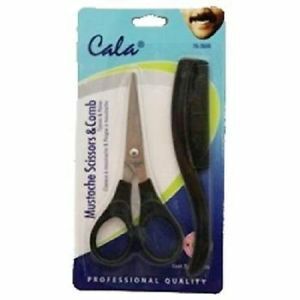 We wanted a little more cutting edge fragrance here. 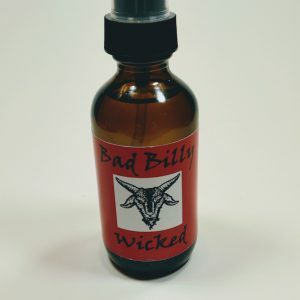 In Bad Billy MEAN you’ll find a cool blend of citrus, clove, anise, black pepper and notes of amber and balsam. 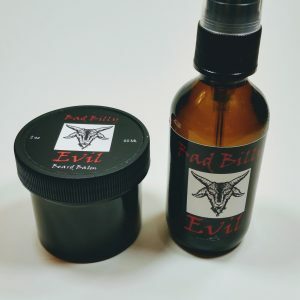 We’ve heard, “masculine and a bit woodsy”, “awesome spicy and smokey”, “my favorite of all your fragrances”. 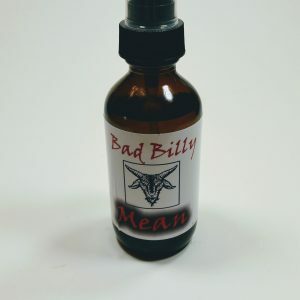 So if this sounds like you…get some Bad Billy MEAN!